Today we visit Syracuse, a town rich in history, legends and charm. The Archaeological Park (Admission fee: not included) includes some of the most extraordinary monuments that classical antiquity has left us and, given their degree of interest and importance, has few equals elsewhere in Italy. Inside the Park the best renowned sites are the Greek Theatre, that is one of the largest of the entire Greek world, the Roman Amphitheatre and the Paradise Quarry, that houses the mythical cave Ear of Dionysius. The tour continues discovering the earth of Syracuse, the small and picturesque Ortygia Island, connected to the mainland only by a bridge. Almost every street is related to historical sites, churches or legends and strolling around is the best way to enjoy this suggestive island. Do not miss the Dome and Aretusa Fountain. 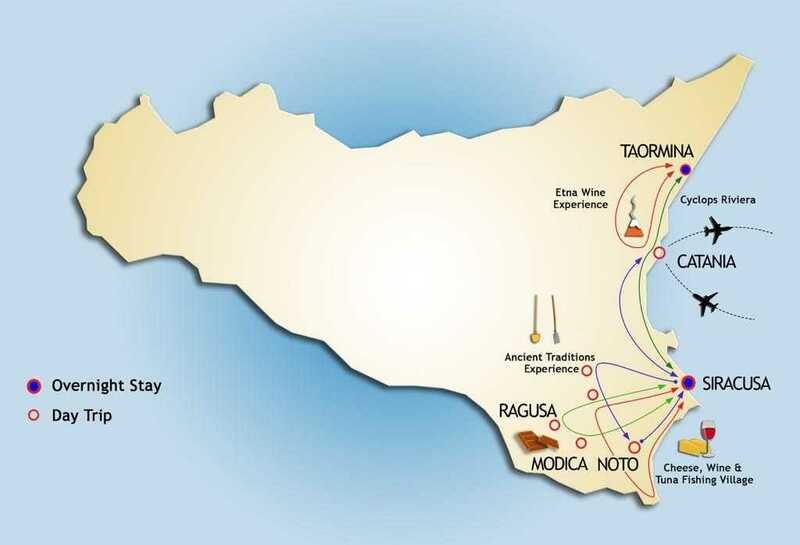 Today a sightseeing drive will lead you along the country side, the hills and the vineyards towards the Noto valley, for approximately forty minutes, toward Buscemi, named the “museum town”. We will visit the ethno-anthropological itinerary “the farmer work places”, that includes a visit of the museum dedicated to the artisanal works, and a tour of the places of the past: the farmer home, the millstone, the blacksmith shop, the carpenter shop, the shoemaker shop and other typical works of the time. You will learn how people used to work and live in Sicily about a century ago, within an environment incredibly well preserved. Then we will drive you to Palazzolo Acreide, an ancient Greek town founded in 650 BC, with a perfectly preserved Greek theater and a downtown built in Barocco style, with two of the churches that recently became UNESCO heritage. 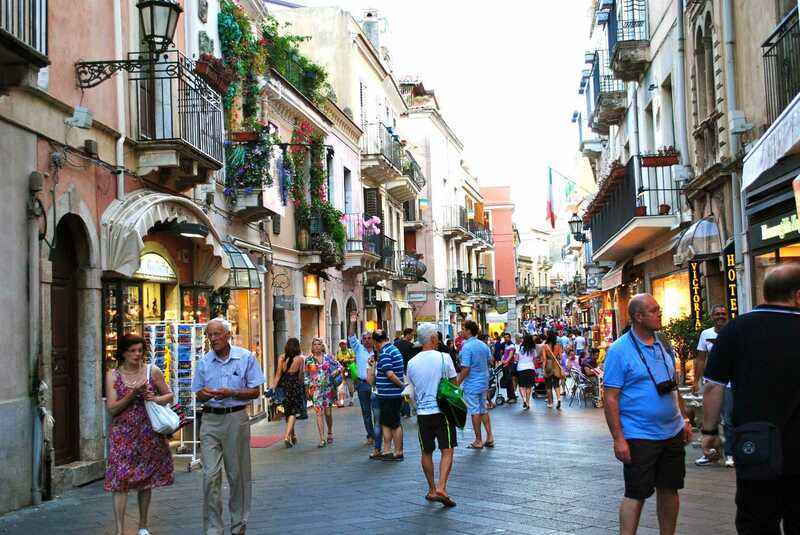 You will enjoy a nice walk in the old town, before joining a Sicilian family for a lunch at home! 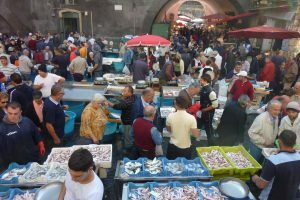 We all will eat together a traditional Sicilian lunch, enjoying authentic home made food and hanging out with the locals in a friendly and relaxing environment. 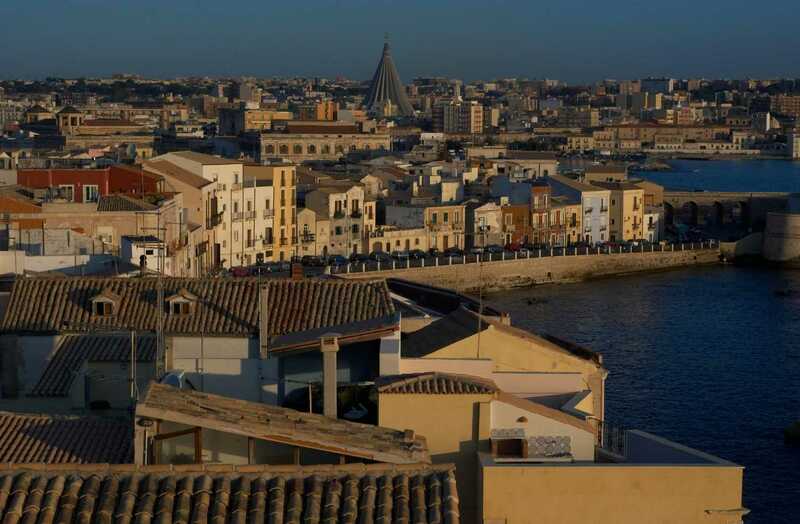 After lunch, we will drive you to the magnificent Noto, another gem built in Barocco style, for a walk in the downtown and a coffee and dessert in one of the ancient pastry shop. Today departure for Modica. 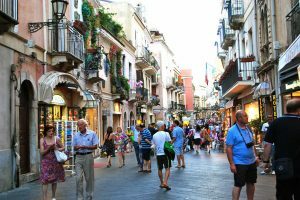 Like the other towns in the Val di Noto, was badly damaged in the 1693 earthquake and largely rebuilt in Sicilian Baroque style. It is divided into two parts, “higher” Modica and “lower” Modica, which are connected by numerous flights of steps. Palazzi and houses rise from the bottom of the gorge seemingly stacked one on top of the other. Magnificent churches, with their inspiring domes, bell towers and intricate facades, punctuate the red-tiled roofs and one is struck by the uniform beauty of the whole. 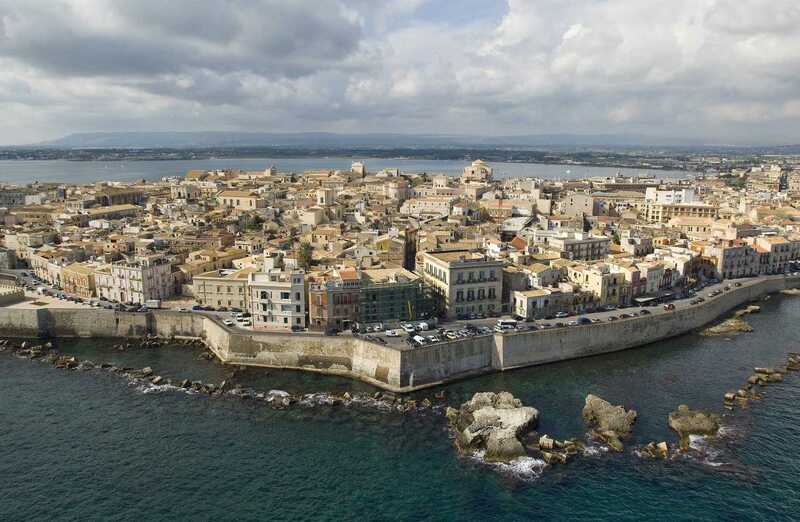 Modica is custodian of a 400 year tradition of Sicilian chocolate-making. Being part of the Spanish kingdom for so many years meant that Sicily was often one of the first recipients of the new foodstuffs being brought back from South America. Cacao was one of these and today Modica is still specialized in making granulose chocolate, often flavoured with chilli pepper, cinnamon or vanilla, that is based on Aztec methods and recipes. Chocolate shops abound and it is possible to watch the “chocolatiers” at work. For the real chocoholic, it is included a sweet experience: make your own choco-bar and taste Modica granulose chocolate! 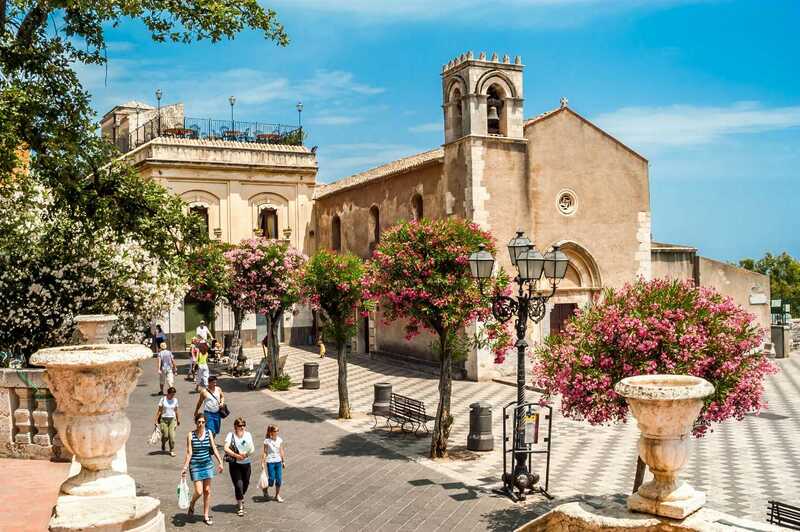 Later onto Ragusa to visit one of the most fascinating towns in Sicily, Ragusa has caused many a visitor’s jaw to drop as they first set eyes on the lower part of the town. Essentially Baroque, the Ragusa you will see today dates almost entirely from 1693 when was razed to the ground by the terrible earthquake. Public opinion on where to rebuild the town was divided, and so a compromise was made. The wealthier, more aristocratic citizens built a new town in a different site, now Ragusa “Superiore”, while the other half of the population decided to rebuild on the original site, on a ridge at the bottom of a gorge, now Ragusa Ibla. While the upper part has its fair share of architectural delights, it is the smaller Ragusa Ibla down below that really draws visitors. Whether you approach it from Modica to the south or from Ragusa Superiore, the sight of the jumble of houses, churches and civic palazzi piled on top of each other, clinging to the walls of the gorge, is really quite breathtaking. Although seemingly Mediaeval from a distance, once you enter the town’s heart, the Baroque logic of its plan becomes more obvious. This afternoon we then return to Syracuse. Today you will have the opportunity to live for one day with the farmers and the wine makers, discovering some of the most genuine food gem of our land and enjoying an authentic experience in the beauty countryside of south-east coast. A sightseeing drive will lead you along the ocean side, the hills and the vineyards towards the Noto valley, for approximately one hour. 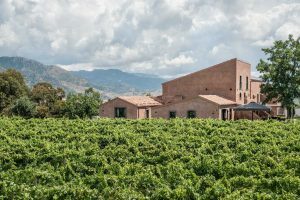 Then, you’ll be welcomed by the Farmer and his family in their ancient Sicilian farm, with a first tasting of some of their delicious products in a very relaxing and friendly atmosphere. A walk around the farm, surrounded by the scent of almond and lemon trees, will give you the opportunity to see the flock of sheep, where every day they get the milk, and to admire the elegance of the almond trees, where the authentic and prizes winner Mandorla di Noto comes from. During the walk you will also learn how to work the almonds to create the famous Sicilian almond milk. 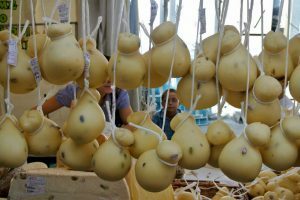 After the walk, The Farmer will offer you a real demonstration of how to work diligently with sheep’s milk to create the delicious Ricotta cheese, fresh mozzarella and other typical Sicilian cheeses, with the warm breeze rolling in from the Mediterranean Sea into their rustic kitchen. 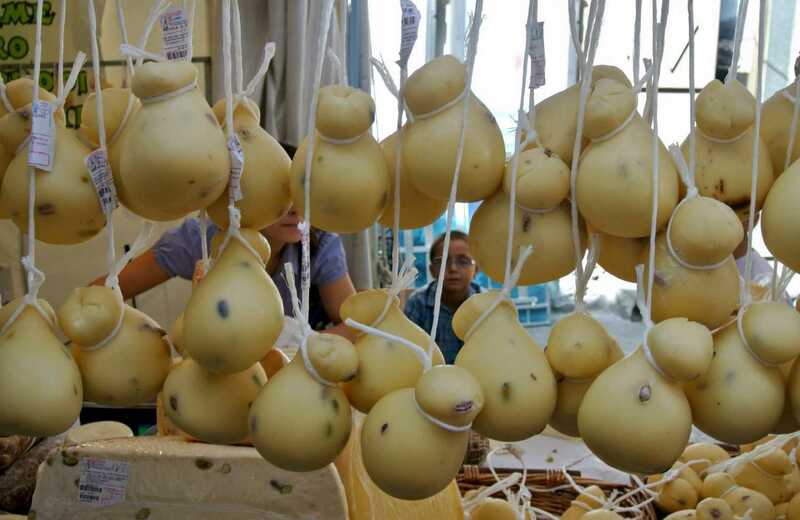 You will definitely enjoy the best cheese-making demonstrations in Sicily. From the first drop of milk to the delicious final products. All these products will be the base for the typical Sicilian lunch, where the friendly feeling of a small and intimate group of food lovers will make the experience unique. 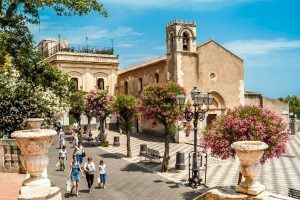 Approximately at 3pm, the driver will take you through the breathtaking countryside, to discover this wonderful area of Sicily, where you can find a landscape typical of Tuscany, with hills, olive groves and the Nero d’Avola vineyards, a unique experience to enjoy driving along scenic and silent country roads for approximately 45 minutes, and having fantastic photo opportunities. Today departure for Catania, the big and lively city on the eastern coast, influenced by the neighbor Etna Volcano and his blows and always in contrast with Palermo, the Capital of Sicily, very different in spirit and colours. Time at leisure in the earth of the town. Stroll around and admire the best highlights around Sant’Agata Dome (Admission fees: not included) and linger your eyes on the Elephant made of lava stone, known locally as Liotru, symbol of Catania and of many legends. 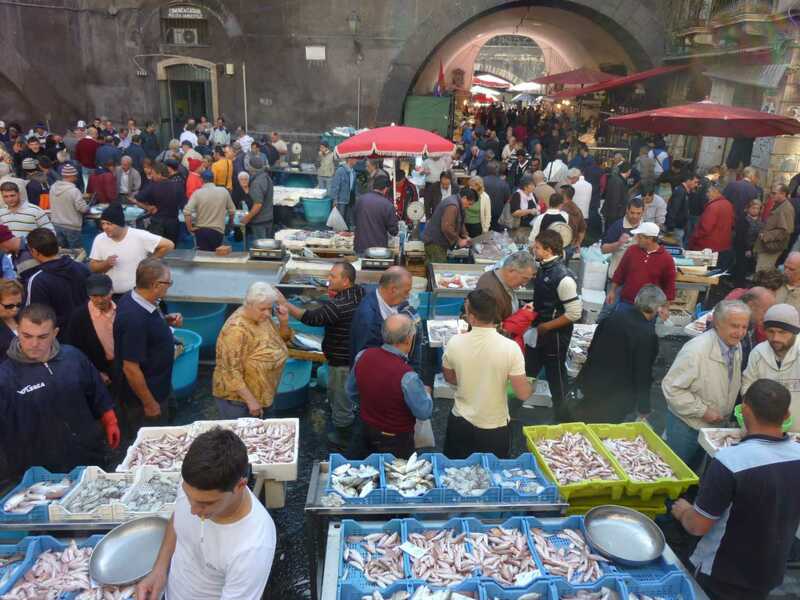 Do not miss the picturesque daily Fish Market, an open air market that captures the flavor of Arab Suk, a jumble of vendors' stalls which sells a fantastic array of just catched fish. 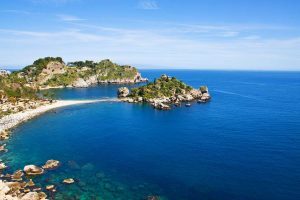 Then we drive along the charming Sicily’s Cyclops Riviera, a legendary coast north of Catania, linked to Polyphemus, the giant. Cyclops Riviera (Riviera dei Ciclopi) is a 12-kilometer long stretch of the coast located north of the beautiful city of Catania that goes from Acireale to Aci Castello. This wonderful coastline was named after some legends about the huge rocks sprouting from the sea, (some of them even up to 70 meters high). 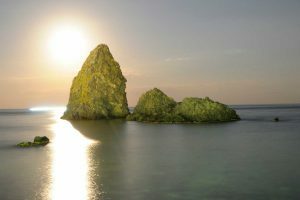 In fact, there are different legends about these boulders all involving Polyphemus, the giant son of Poseidon and one of the Cyclopes. According to a legend, Polyphemus threw these boulders in the sea to express his rage against Ulysses, whose story has been told by Homer's Odyssey. Another legend talks about a shepherd called Aci and Polyphemus, both in love with Galatea, a nymph of the sea. Today, most of the towns that lie on this coast (Acireale, Aci Castello, Aci Trezza, and others) owe their names to Aci. The coast and the nearby boulders are part of a protected area featuring great varieties of flora and fauna, beautiful sea floor and lush underwater vegetation. 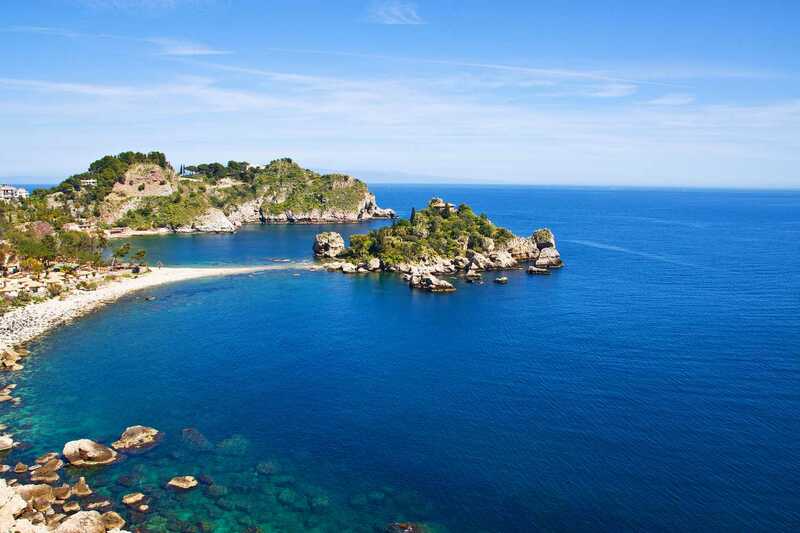 Later we continue to Taormina, the world famous resort town of Sicily. 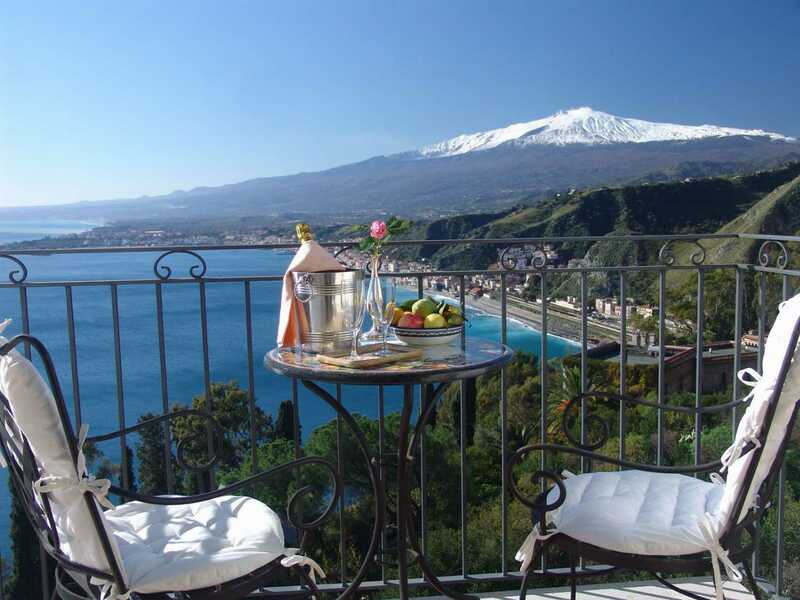 This morning meet the Chef in Taormina uptown (Meeting Point: TBA). A brief walk takes us to an open air market where we'll purchase fresh fruit, vegetables and all the ingredients necessary for the cooking course. Then onto a local restaurant to start our cooking class. At the end of the course, we will enjoy our scrumptious creations with the perfect complement, a beautifully paired Sicilian wine. Dessert follows accompanied by a typical local Dessert wine. Buon Pranzo! Today you will be driven to enjoy the scenes of The Godfather movie. From the coastal road, rich of villas, flowering gardens, and picturesque villages, leads to the historical artist town of Savoca. In a private house in the village, Bar Vitelli houses a collection of local artisans' tools and photographs taken when Francis Ford Coppola shot scenes of The Godfather II. 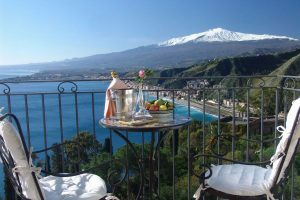 Stroll along the village's main street past Santa Lucia and San Michele churches for a short view over the valley and enjoy a Sicilian Almond Milk or a refreshing Lemon Ice Granita. Drive away, we'll find Forza d'Agrò, a charming little village over-looking the Arab-Norman castle of Capo Sant'Alessio. In 1990, Al Pacino and Sophia Coppola shot scenes here for The Godfather III. From the main square, a lane meets the circular steps that ascend to the Gothic-Catalan portal in front of the Church of San Agostino. Later we return to Taormina. This afternoon is at leisure. Today meet the off-road’s driver and transfer to Etna Volcano. During our first stop we will discover a unique canyon comprised of basaltic lava (the “Alcantara Gorges”) and shaped by the waters of the Alcantara river. The Alcantara's vertical cliffs reach 30 meters in height and its structures have been forged by high intensity geological and geothermal events. After this stop, we will visit Castiglione di Sicilia, a medieval village perched on a hill overlooking the Alcantara valley. Walk to the Belvedere of Lauria Castle built on the highest cliff of the village and enjoy the wonderful view. Traveling through one of the wine roads of Sicily and crossing large expanses of vineyards (Etna D.O.C. ), we will arrive at a local winery. This is the ideal place to enjoy relaxing moments surrounded by nature while sampling local cuisine and excellent wines. In fact the wines are complemented by uniquely local delicacies. We will then make a brief stop at the 2002 lava flow reachable by jeep through a winding dirt road surrounded by chestnut and oak forests. The 2002 eruption lasted from October 27th to January 29th 2003 and it is considered one of the most explosive eruptions of the past one hundred years. Continuing our excursion we will reach the Ragabo pine forest where hidden among pines and brooms, we will discover the cave of Corruccio (1350 meters above sea level), a cave formed by flowing lava. Later, driving up along the Mareneve road we will reach Piano Provenzana (1800 meters above sea level), a ski resort, theater of the great eruption of 2002.